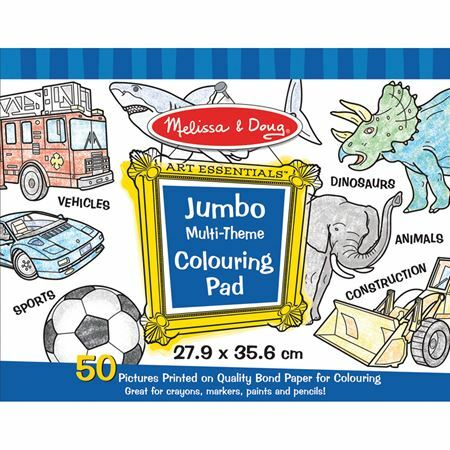 Jumbo colouring Pad in Blue. Big multi imaged colouring pads, from Melissa & Doug, will keep lchildren happily busy for hours. Each pad of thick quality bond paper has 50 large pictures to colour in with crayons, markers, paints and pencils. Just as with all great works of art there’s even a special box to add your name – when you frame your creation! The Blue style features vehicles, dinosaurs, sport, diggers, pirates, etc. 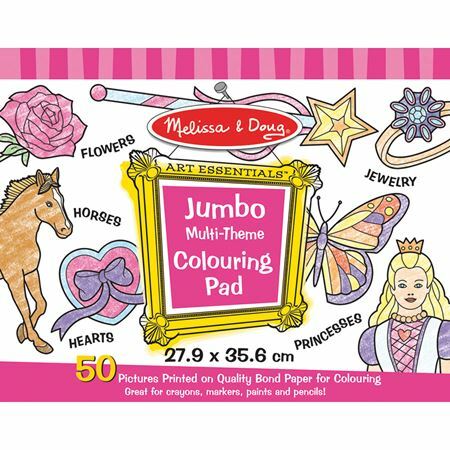 Jumbo colouring pad in pink.